Don’t scoff. The University of Washington could go all the way in this year’s NCAA VC Founders basketball tournament. Seattle-based Financial data analytics company Pitchbook has created a unique competition based on the current NCAA Tournament bracket with a decidedly different way of measuring wins and losses. Teams advance based on the number of graduates who have founded companies that have received venture-capital backing between 2006 and the summer of 2018. Pitchbook has released data only for the first two rounds, but the University of Washington is in the Sweet 16. Pitchbook will continue to trickle out data – which is based on its 2018 Pitchbook Universities report – as the tournament progresses. UW’s undergrad and MBA programs have raised $5.72 billion in capital, according to the report. UW’s CoMotion program has helped spin out more than 80 startups the past five years. 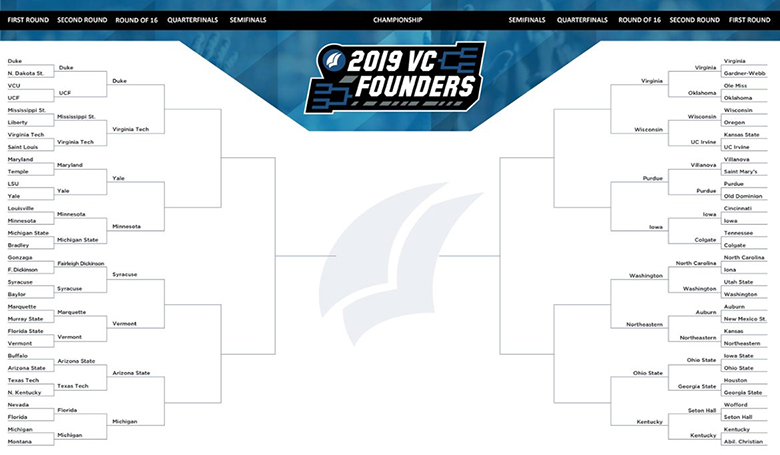 Other prominent colleges that advanced in Pitchbook’s 2019 VC Founders bracket include Duke University, Yale University and the University of Virginia. Of the three Pac-12 schools in the tourney, two made the VC Sweet 16: UW and Arizona State. Huskies fans, rejoice: The University of Oregon didn’t make it out of the first round. As for the actual NCAA basketball tournament, the ninth-seeded Huskies face off against Utah State at 3:50 p.m. Friday, March 22 in a first-round matchup.